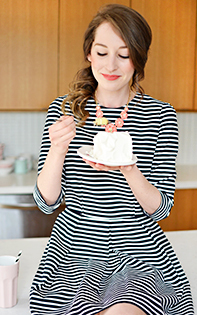 I had this recipe pinned on Pinterest for a while and finally decided to try it out last week in Toronto. 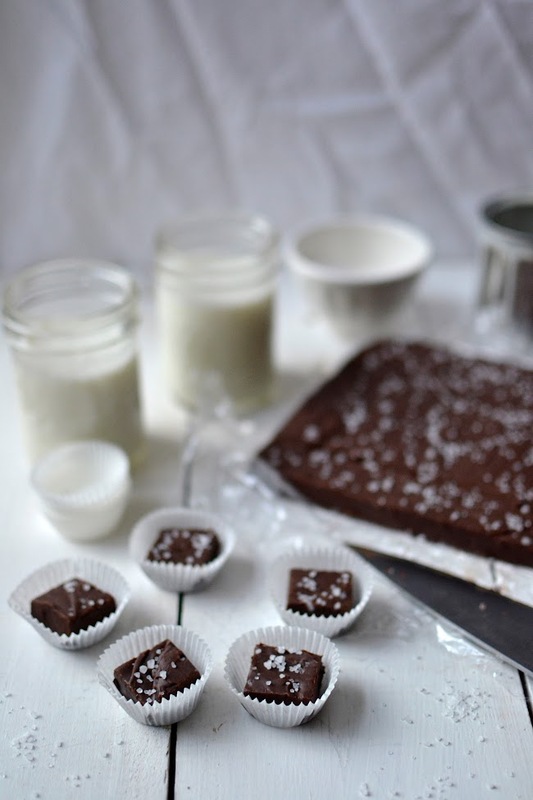 I always forget how easy fudge is to make and it can be pretty pricey to buy. 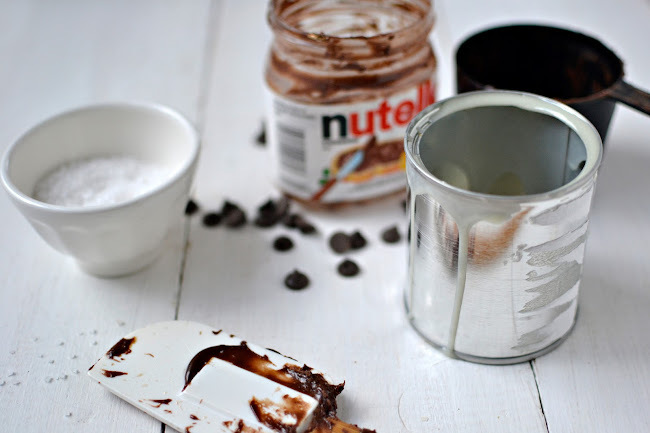 Of course, I was sneaking spoonfuls of the Nutella before I actually made the fudge so I didn't have quite enough but it was perfect anyways. The sea salt is what really made it, in my opinion. Naturally, the pan disappeared quickly in a house of five girls studying for exams. 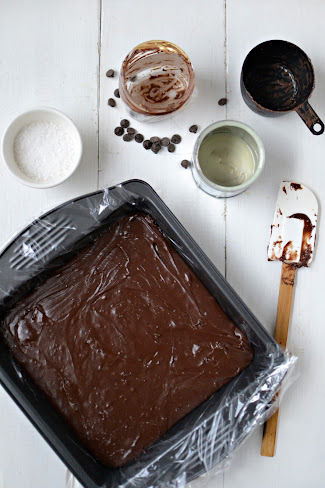 You'll notice I used plastic wrap instead of parchment paper - a terrible idea but as the fudge was melting in the pot I realized I was out of parchment paper and I really had not other option. Oops! 1. Grease the bottom and sides of an 8-by-8-inch baking pan with butter. Line the pan with parchment paper, leaving a 2-inch overlap on the sides. 3. Form a double-boiler by setting the bowl on a medium pot of gently simmering water. The water level should be low enough that the bottom of the bowl does not touch the water. Stir until the chocolate chips are melted and the mixture is smooth, 5 to 7 minutes. 4. Scrape the mixture into the prepared pan, spread the top smooth with a spatula and sprinkle the with sea salt. 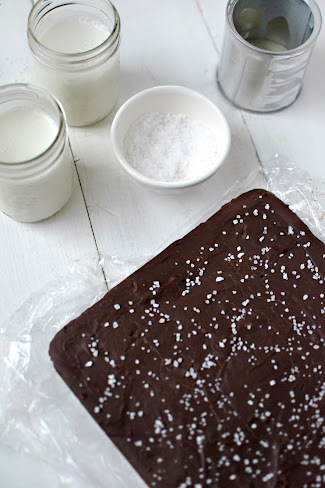 Refrigerate until the fudge is firm, at least 2 hours. 5. 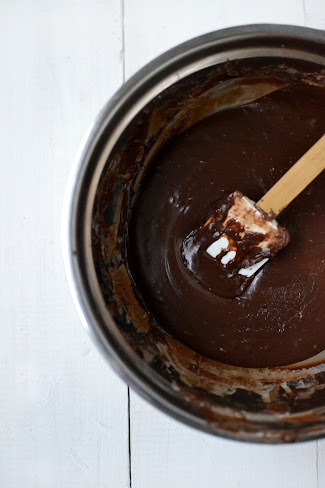 Run a knife under hot water, dry it off and run it around the edge of the pan to loosen the fudge. 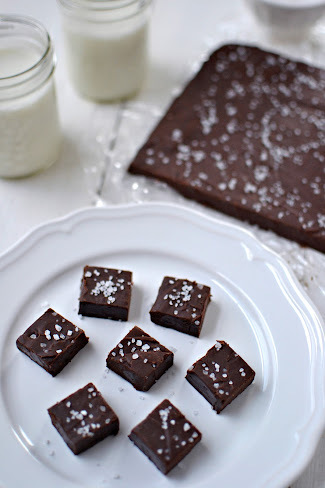 Using the overhanging parchment paper, lift the fudge out. Peel off the parchment paper. 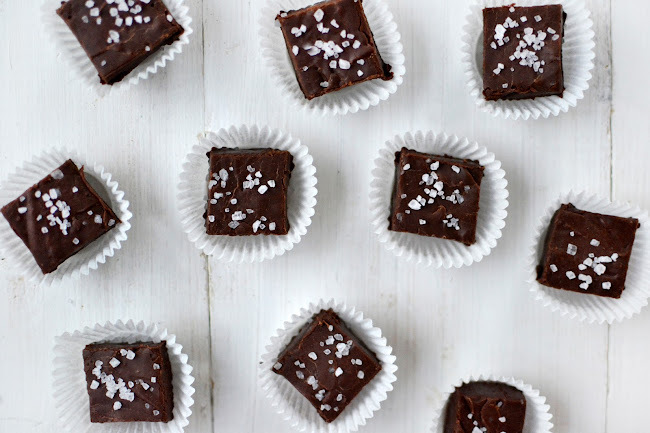 Cut the fudge into 3/4-inch squares. Store in the refrigerator in an airtight container or wrapped well in plastic wrap and foil.